A reason to drink, perhaps. Easy free fundraising ideas almost seem like an oxymoron, but I think you’ll agree that this one fits the bill. The only thing you’ll need for this fundraiser is plenty of enthusiastic volunteers, so bottle drives are especially great as free fundraising ideas for churches and schools because of the large pool of potential helpers. There are presently 11 states in the US that require retailers to charge a deposit for beverage containers – mostly glass bottles – and give the deposit back to consumers when the bottle is returned. If you live in one of these states you can help the environment and earn money for your fundraiser or charity simultaneously. Volunteers simply collect bottles throughout the year either by collecting them as they’re used or by scavenging the roadsides looking for discards. At only 5 cents per bottle, it may seem like a waste of time and effort, but it can really add up over time. And kids in particular, tend to enjoy collecting them. 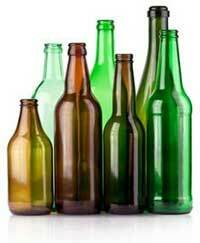 Families can collect bottles from their own use and from relatives, and can contact neighbors to get donations. Most people are interested in recycling to some degree, so it’s not hard to find willing donors if you make it easy for them. The infographic below shows the impact that you’ll have by recycling glass bottles for your fundraiser. Bottle Drives are Easy, and Worth it! As the band director of a small high school in Upstate New York, I found myself stuck between a rock and a hard place when it came to fundraising. We had very specific guidelines in that all of our fundraisers had to be scheduled the year prior, and needed board approval. With everyone in our school selling items from chocolate to candles, I chose a different route. I decided to stage three bottle drives, and from that would establish a student fund that could be used throughout the year for various needs not covered by budget. To get the ball rolling, I enlisted the help of a few parents. We contacted a local Bottle Return Center, and they provided us with a dump truck, a road banner, drinks for the kids, and an incentive to earn one cent more a can if we took care of washing out and organizing the returnables. We set out on the first Saturday of the School year, with a pillage of publicity. We put flyers in the local paper, registered it with the Sunday papers, and PSA’d it on local TV stations. A few of those helpful parents got bus route maps, and organized teams for the kids to work in. Other parents made signs and flyers, and left them on their houses and cars. The day of the bottle drive I picked up complementary donuts and coffee from Dunkin Donuts, along with garbage bags that they provided us. About 25 students showed up, some with siblings and friends. We split the kids into teams with adult drivers sent them off. The community embraced the idea, and teams were returning back with a summer’s worth of collections. Some students were amazed how quickly that dump truck filled up. Two hours in we called the bottle return and asked them to pick up the truck. They showed up with a spare! Our bottle Drive netted us a cool $1000. Not bad for a first outting. the next drives were scheduled for the weekend after the Super Bowl, and the weekend after memorial Day. As we continued to hold this fundraiser, we developed new ideas. We set up a rolling account at the Bottle return, and people brought in their cans for us on their own time. We arranged a collection of the neighboring golf courses on Mondays, and placed our own recylcing containers in local eateries. The local supermarket set up a drop off point for receipts on our behalf. Finally, our local parade offered a great time to set up a drop-off, and we coordinated free ride tickets at the field days for donations. The extra cent was worth the hassle, and sorting was a breeze. We set up in front of our bus garage, and our custodial staff loaned us hoses and large garbage bins. i would be careful, especially in the warm weather, to watch out for bees, and keep your allergic students far away. It is also handy to have on hand some Raid! My son’s 5th grade class wanted to go on an expensive field trip. 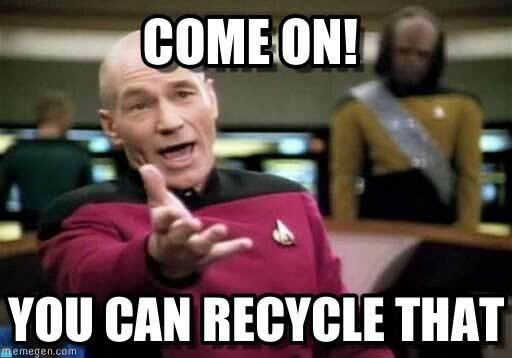 So instead of having the parents pay for it, the teacher decided to have a recycling fundraiser, which also played into her science lesson plan of recycling and planet earth. So the kids were required to bring in their used cans and every Friday she would weigh the cans and bring them done to the recyclers. The kids got so excited and would constantly bring in cans and get them from the trash etc etc, until the raised the money to go. I was raising money for me to learn abroad and learn about their culture thru People to People founded by Dwight D. Eisenhower. I had the idea about recycling cans and bottles. I raised the money but not all of it because of a time limit 3 months I was not able to go on the trip because I didn’t raise enough money. People to People offers trips all around the world to different countries and you meet different people. I made signs and put them all around my hometown my family and friends spread the word and helped me. I made posters and put them places. I raised 800.00 and I needed 5,499.00.